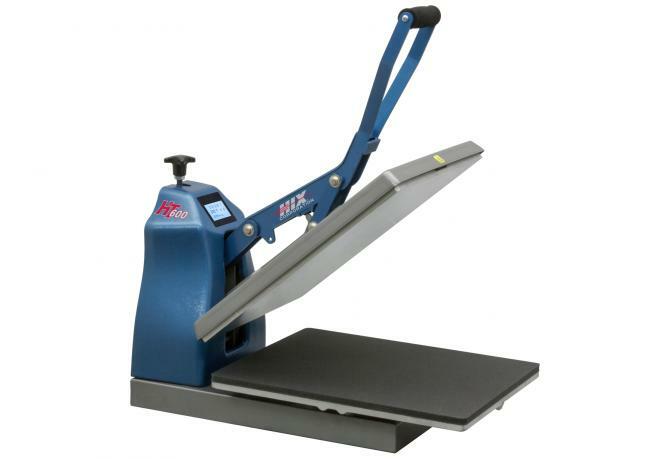 Built with the same features and performance characteristics as the HT-400, the HT-600 has an increased heat platen 16" x 20" that can apply even pressure on all types of transfers, even on items up to 13mm thick. The floating lower platen helps provide even pressure on thicker items, no matter were it's applied. The HT-600 features a touch-screen controller with a digital timer. It is adjustable up to 999 seconds, shows time countdown on readout, beeps after elapsed time, and resets when the handle is raised. The calibrated digital temperature control is adjustable up to 232°C and displays the current temperature. It has a 1 year return to base warranty and a lifetime warranty on the heating element.